A recent study on the intensity of use on a popular bike path in Summit County may shape how Pitkin County manages the growing number of special events that use local trails, the director of the county’s open space and trails program told the county commissioners Tuesday. 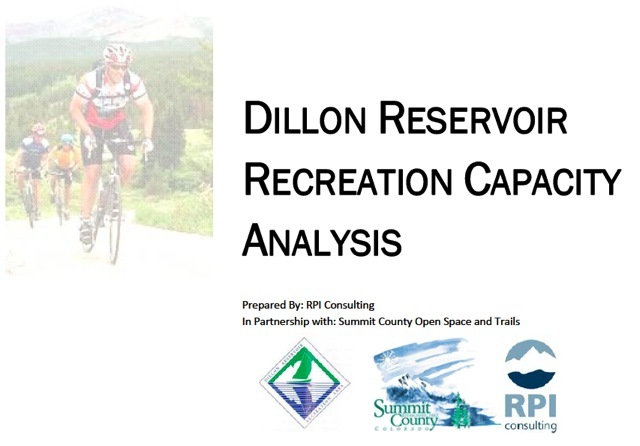 At the request of the Summit County open space and trails department, RPI Consulting of Durango analyzed the capacity and use of the recreational bike path around the Dillon Reservoir — known as the “rec path” — which sees heavy road-biking use by locals and visitors on summer weekends. On top of the normal use, special events — with an average of 970 and up to 3,360 people either riding, walking or running on the rec path — “can push the system into an over-crowding status” and “can compromise regular user experience and safety,” the report states. “When use exceeds capacity, user experience declines,” said Gabe Preston of RPI Consulting, who is a former Pitkin County planner. John Armstrong, a ranger with Pitkin County open space, has said that an increasing array of large special events, such as bike tours and marathons, are seeking to use the Rio Grande Trail on the nicest weekends of the summer. “We are being proactive,” he told the county commissioners on Tuesday, and noted that many other resort towns in Colorado are also now seeking ways to better manage special events. Borrowing a concept from traffic studies of varying “levels of service” depending on the number of vehicles on a road, the RPI report studied user “encounters” on the Summit County rec path and then ranked the differing conditions. “As service levels decrease the recreation path becomes more crowded, meetings and passings become frequent, bicycles maneuvers become increasingly necessary, and safety for all users decreases as overall flow becomes slower,” the report notes. The RPI study found that between 9 a.m. and 4 p.m. on summer weekends, the rec path in Summit County is at LOS B (“impeded”) and nearing LOS C (“constrained”), especially on Saturdays. As a result, the RPI study recommended setting aside two weekends per month between Memorial Day and Labor Day when no large special events are held on the path. “This will allow Summit County residents and tourists to enjoy the rec path for about half the weekends in the summer without encountering special events during the very short warm weather season in the mountains,” the report states. The report also included a proposed scoring system for Summit County officials to use when reviewing proposed special events for those with 750 or more participants, as well as suggestions that events be held in the off-season, on weekdays, or at least in the early or late parts of the day. Preston said Summit County officials have only recently received his report and haven’t yet made any policy changes in response to it. They did, however, allow him to share the report with Pitkin County officials. Will, the county’s open space director, said he wants “to figure out some new standards that are appropriate for Pitkin County’s trails” and do so in conjunction with other local governments and the U.S. Forest Service. Pitkin County Commissioner Rob Ittner said it will be important to keep in mind the economic benefits that special events bring to the community when studying the issue. That was seconded by Commissioner Rachel Richards, who said “a balanced look” was key. Hawk Greenway, a member of Pitkin County’s open space board, noted that “we’re victims of our own success here” as the county’s open space and trail network is proving increasingly attractive to locals, visitors and special event organizers. “It feels like it’s right and proper for us to be looking, at this point in time, at ramping up our management skills to deal with these increased demands,” he said.